FlowRider, and beautiful wedding chapels. can be performed at this resort. Family-friendly luxury all-inclusive located in Cancun. Beach Palace features a beautiful white-sand beach, spacious suites and rooms, 4 restaurants, 4 bars, including 3 swim-up bars, 24-hr room service, fitness center and spa. Daily activities and nightly entertainment. 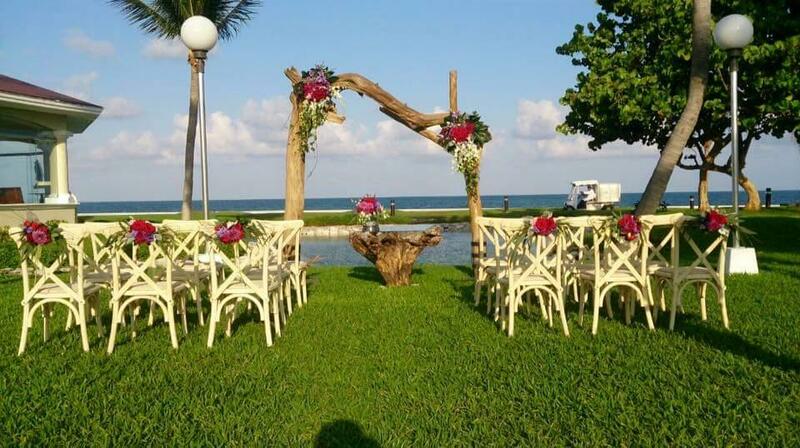 Variety of wedding package options, including complimentary. 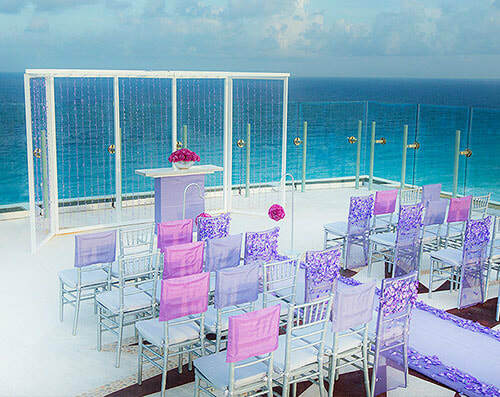 Great group incentives on wedding groups. 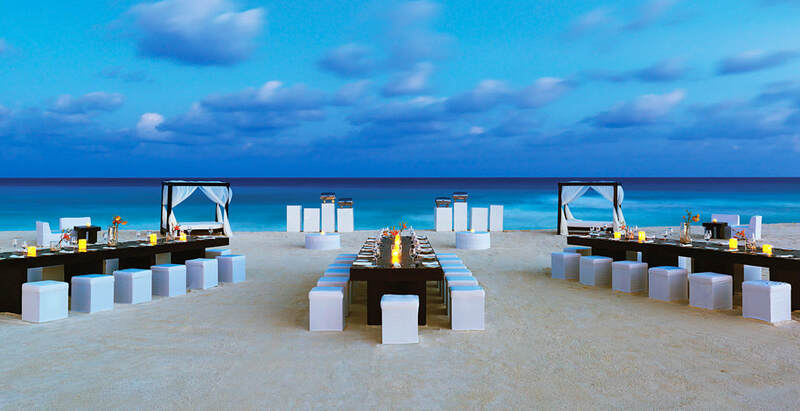 This upscale boutique all-inclusive resort is located on a beautiful stretch of beach in Cancun. This adults only resort offers 261 rooms, 4 restaurants, 3 bars with top-shelf liquor, 24-hr room service, 3 infinity pools and spa. Sun Palace is also a great place for a honeymoon as they emphasis romance and luxury. Rooms have double whirlpool, mini-bar, liquor dispenser, WiFi and CHI amenities. Most are ocean view. Adults only, luxury all-inclusive sure to please the experienced traveler. Le Blanc Spa Resort offers gourmet dining options and personalized butler service.